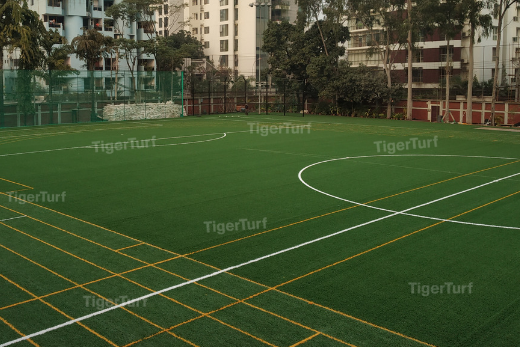 TigerTurf brings to American International School Dhaka, Bangladesh its first truly all-weather football field with an unlimited yarn warranty and a fibre that is conventionally cooler than other fibres. Play made possible 24x7, impervious to footwear - here's to complete turnkey solutions from Altius Sports. 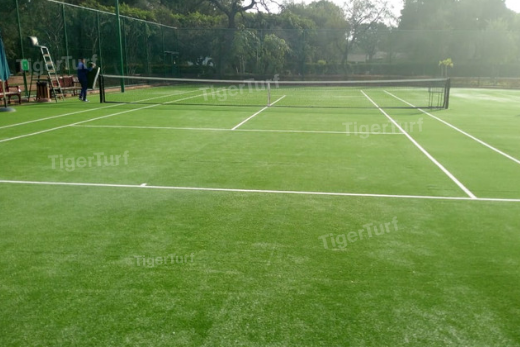 Embassy of Japan in India goes the TigerTurf way with our ITF certified tennis courts using our ITF Certified Medium-Fast court that is extremely hard wearing and uses a unique polyethylene texturized monofilament yarn. This fibre exclusive fibre type encapsulates more of the sand infill producing a surface that is far less sandy in appearance. 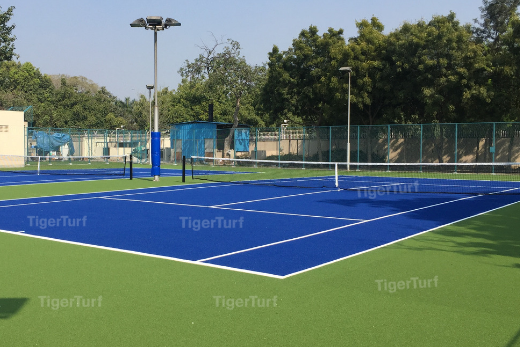 British High Commission, New Delhi gets the TigerTurf upgrade with our ITF Certified Tennis Surface that lasts up to 5 times longer than conventional hard courts/acrylic courts in terms ofthe number of hours of play. Another Ace by Altius Sports. Even after 7 years of rigorous use, the campus of the American Embassy School, New Delhi enjoys unlimited hours of play - all made possible by our unique XP Pro yarn. Our "love of the sport" makes play possible 24 x 7 using our patented yarn technology and a base that drains, no matter the amount of rainfall. With over 4 million square feet of playing surfaces installed in India, our in-house team at Altius designs, manufactures, builds, installs and maintains your arena of dreams. 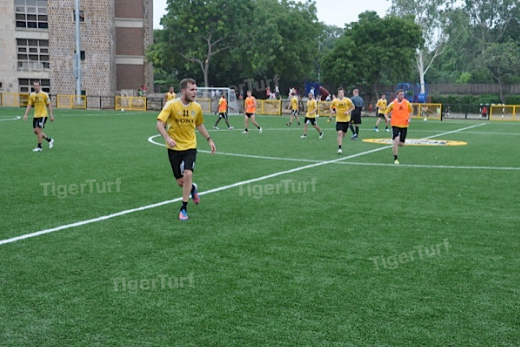 ‹ Why IIM Calcutta chose Altius to build their sports infrastructure?